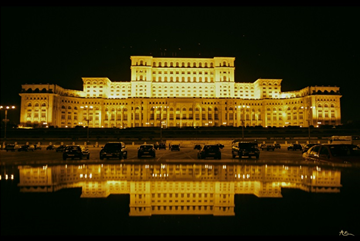 Parliament Palace in Bucharest, Romania (known as the House of the People before the Revolution of 1989), measuring 270 m by 240 m, 86 m high and 92 m below ground. 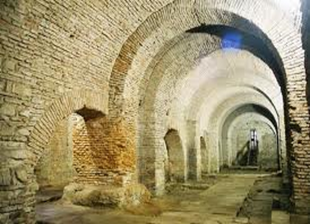 It has 12 levels to the surface and 8 underground. The building has a developed area of 330.000 m². As part of "Guinness World Records" in the "buildings", number 2 in the world after the Pentagon building, and in terms of volume, with the 2,550,000 m3 of its 3rd in the world after the missile assembly building space from Cape Canaveral in Florida and after the pyramid of Quetzalcoatl in Mexico. The building has about 1,000 rooms, including 440 offices, across 30 halls and saloons, 4 restaurants, 3 libraries, two underground parking and a concert hall. 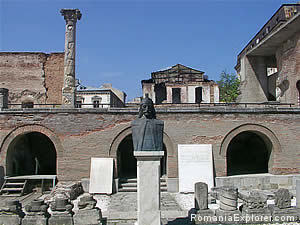 Old Court is one of the vestiges which dominates the historic center of Bucharest, being built during the reign of Vlad Tepes Dracula (XV century), Prince of Wallachia. 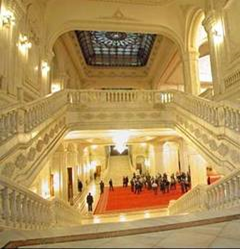 Starting with the 16th century, the palace has become the official residence of the Wallachian princes, Constantin Brâncoveanu (1688-1714) and Ştefan Cantacuzino (1714 -1715), who ennobled the construction adding stone columns, marble stairs and valuable decorations. 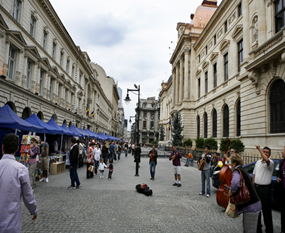 Bucharest's Old Town is today a charming district, pedestrian, with lots of tourist attractions. Impressive by the architecture of the buildings and streets with names of craft guilds, the old town is welcoming and cheerful today as it was in medieval times. 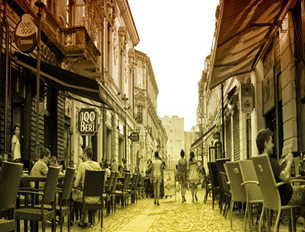 Hundreds of shops, terraces, cafes, restaurants are scattered throughout the narrow streets of Bucharest for another time and waiting for you to discover.